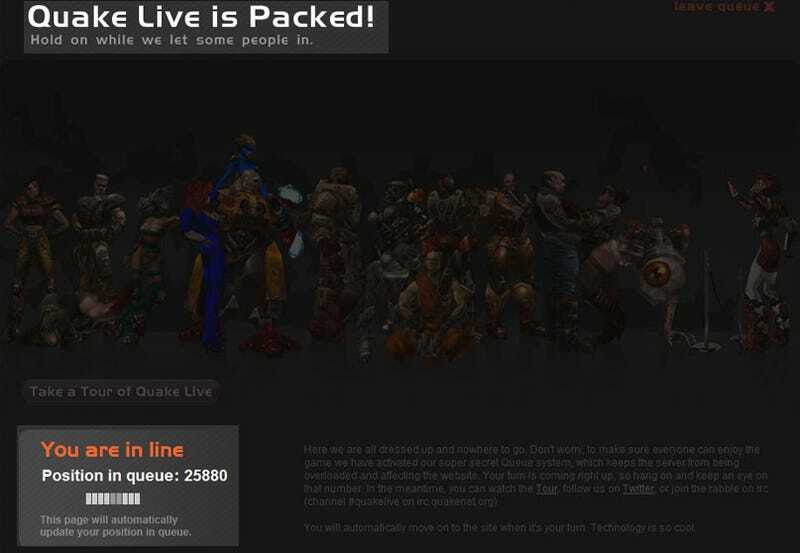 How live is Quake Live? So Live. But just because it's live doesn't mean you can play it. You can register, sure, but after that, you gotta get in line. See, the game is proving a little popular. Maybe too popular. I jumped on this morning to test it out, and instead of playing, instead ended up in a queue. "No big deal", I though, I'll sit it out for 10-15 minutes, leave the browser window open. Then I looked at where I was in the queue. Think I'll try again next week/month.